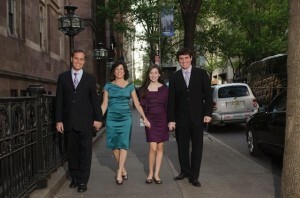 Tags > Diana Gould Ltd.
Mazel Tov Carly! Your purple Mitzvah was a blast. The weekend started with a photo shoot at Temple Sinai with Carly, her sister Lindsay, brother Ethan and parents Jennifer and Rich. The celebration continued at Montammy Golf Club in Alpine, NJ where Carly posed next to her “Carly Says” logo, conceptualized by event coordinators Beth and Cheryl of The Finer Details. Brett from Total Entertainment kept the party moving on the dance floor and guests loved Carly’s candy corner at the end of the night, also courtesy of Total Entertainment. 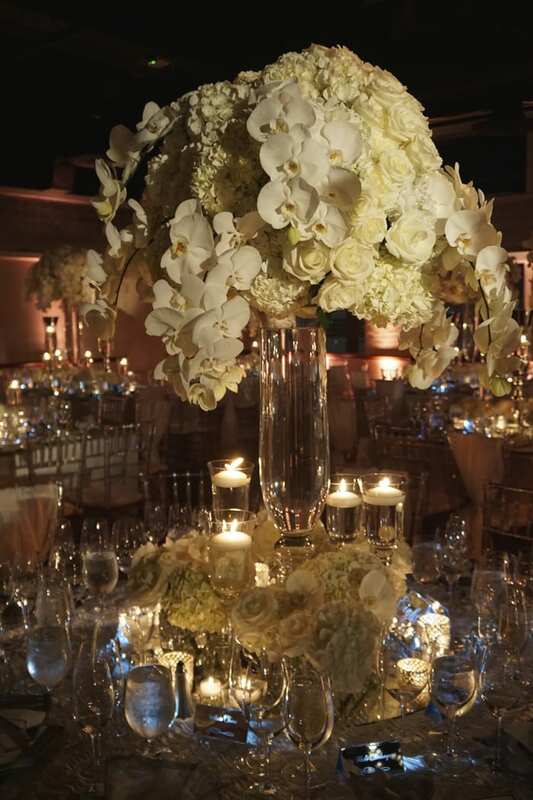 Jen of Diana Gould, Ltd. designed the elegant floral, photo and candle centerpieces. Don’t forget that Carly Says: Life’s a Party! Enjoy! FLORALS and DÉCOR: Jen, Diana Gould Ltd.
Diana Gould Ltd. is a custom floral and event design company, specializing in complete room décor for Weddings, Bar and Bat Mitzvahs, Corporate Events and Special Occasions. Our clients have the luxury of acquiring nearly all of their design services with just one visit. We believe that every detail of your event must work well together. That is why we pride ourselves on the ability to create everything under one roof, allowing us to have the control to ensure that your event is a huge success. We offer an array of in house event services starting with magnificent floral designs, custom table linens, ambient and pin spot lighting, lounge and custom made furniture, graphic design, prop and set design with in house print and production services. Your special celebration is one of the most important days of your life and it should be everything you imagined it to be. It is our mission to bring your dreams into reality. For all of you Mitzvah Moms and Dads out there- check out our collection of favorites from Jack’s Bar Mitzvah at Edison Ballroom. However, the most important part of the occasion really took place at Temple Shaaray Tefila on 79th Street and 2nd Avenue in Manhattan, where Jack become a Bar Mitzvah! His family gathered together a couple of days prior to the big day to take photos with the Torah on the Temple bimah. 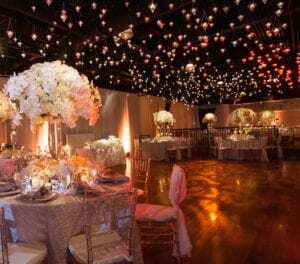 The party continued at New York’s Edison Ballroom where florist and decor specialists Diana Gould, Ltd. created a club wonderland with disco accents! Hanging crystals, disco balls and personalized lanterns imprinted with Jack’s photos and logo set the stage for a night of celebrating and dancing. Glow in the dark chairs, a personalized dance floor gobo and custom lighting also added to the mood of the evening. DJ Dave from Total Entertainment got all the kids and adults up and on the dance floor and let’s not forget Jack’s very own news stand where guests were given candy, snacks and sodas before heading home after the fabulous party. An array of neon rainbow colors set the tone for Rachel’s amazing Bat Mitzvah day. Mom and Dad posed for Sarah’s camera with Rachel and her younger siblings at Temple Beth Shalom at Hastings-on-Hudson, NY prior to the Saturday festivities. Rachel was dressed a beautiful shiny blue ballgown for her multi-colored evening extravaganza at Elmwood Country Club. The party décor, designed by Diana Gould Ltd., featured feather “bouquets” by the kids’ lounge, furniture decked with multi-colored pillows, clear lucite lounge tables and green, red and blue drinks at the kids’ bar. But the centerpieces really stood out as the highlight: photos of Rachel and her custom Mitzvah logo for the kids and a gorgeous array of colorful flowers sitting high to the ceiling for the adults. Every accent was accounted for including multi-colored cocktail napkins with Rachel’s logo and colorful chair sashes in pinks and blues. DJ Unique Musique brought the party to life. Check out the awesome photos from Rachel’s big day. Mazel Tov to Rachel and her family!